Please tell us about your camper's past riding experience. Please fill out the registration form with your information. 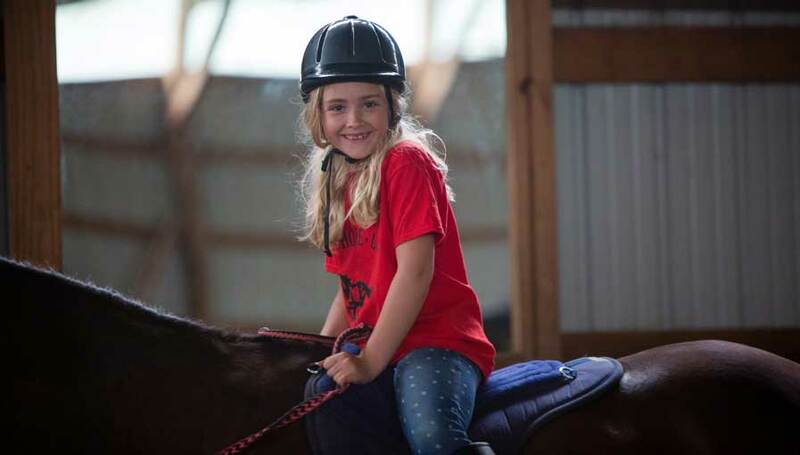 Please provide some basic information about your child’s riding experience so we can best plan the camp for them. Please ensure your child has comfortable pants to ride in as well as boots with a small heel (Boots with a heel are required for stirrups). If your child is not able to attend the camp, please let us know as soon as possible. We look forward to having your child attend our camp.